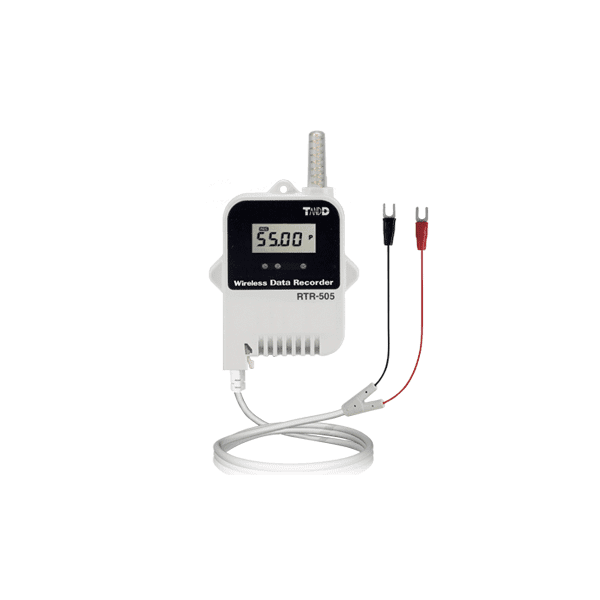 The RTR-505-P Wireless Pulse Data Logger is designed to record the changes in pulse count for contact signals (such as switches, relays, and thermostats) and Lo/Hi voltage signals that occur during a set recording interval. It is also capable of recording the total pulse count from the start of recording. 16,000 readings means you can record every one second and still log four and a half hours of data, or at a recording interval * of 60 minutes you can keep logging for 666 days. A Base Unit can download via wireless communication one RTR-505 Remote Unit at full logging capacity (16,000 readings) in about two minutes. Battery life varies depending on the type of battery, the measuring environment, and the frequency of communication. All estimates are based on operations carried out with a new battery and are in no way a guarantee of actual battery life.